Daveswordsofwisdom.com: Carrots, Eggs or Coffee? Which Are You? Carrots, Eggs or Coffee? Which Are You? 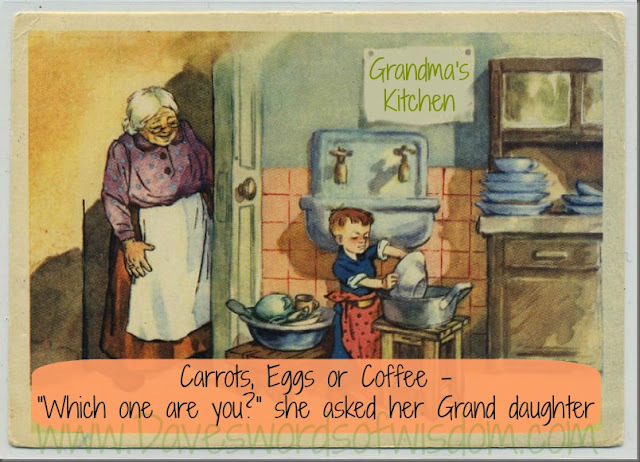 Carrots, Eggs, or Coffee; "Which are you?" the last she placed ground coffee beans. She let them sit and boil without saying a word.